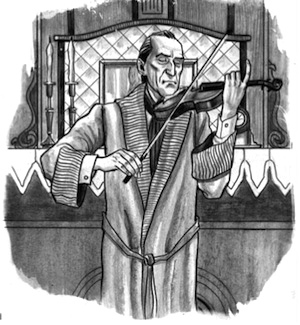 SKF NOTE: Sherlock Holmes was a Stradivarius-playing violinist who loved opera. Source: Doyle, Arthur Conan; Books, Maplewood (2014-05-15). Sherlock Holmes: The Ultimate Collection. This entry was posted in SKF Blog and tagged Music, Scott K Fish, Sherlock Holmes. Bookmark the permalink.